The 'not-so-hidden' hidden loop is partially completed. This loop is only used during open houses to continually loop trains for the general public. 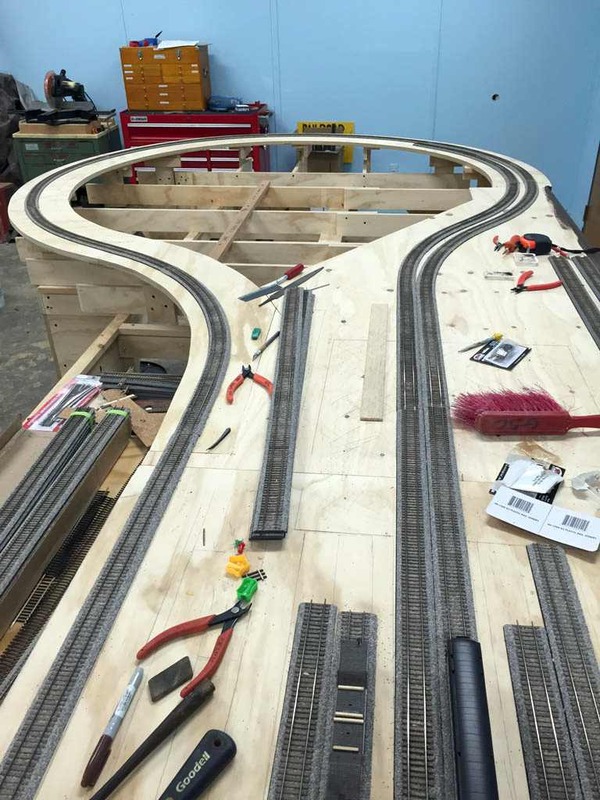 When we operate the layout, this track will be mainly used as a switching lead for the Elizabethport yard on the left side. The two tracks that feed the loop on the right side will be hidden by the Jersey City Terminal building.